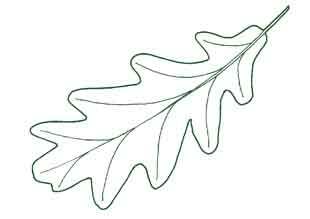 LCWO has teamed up with the immensely talented designer Lydia Morley to create our very own West Oxford Tree Trail map. LCWO, often in partnership with The Forest of Oxford, has been planting trees around West Oxford for the last decade. To date, we have planted around 1200, which along with saving ~25 tonnes of CO2 p.a., bring biodiversity benefits and reduce flooding. Have you been to Kingfisher Corner, seen “Wiggly Waggly Wood”, “Peace Wood” and “The Wild West Wood” along Willow Walk, or explored the orchards of Hogacre Common Eco Park yet? Now is the time if not! LCWO Chair Helen Reid has a love of trees and folklore, and recently took a local Woodcraft group on a guided tour around our trees, sharing tales and wisdom along the way. Thanks to funding from the Doris Field Trust, and inspired by Lydia’s map of Hogacre Common Eco Park, Helen and Mim have put together this special A4 booklet, complete with map, leaves to help you identify the trees as you go (beautifully illustrated by Lydia), stories and facts, and activities for kids. You can pick up the printed map at a number of locations in West Oxford, or download and print it yourself here (note: it is designed to fit on 2 sides of A3, folded in half to A4 booklet). The LCWO Tree Trail (download). Completed the LCWO Tree Trail? Congratulations! Download your printable certificate here!